Les Voyages de l’Amour CD now available to buy! Our lovely new CD is out now! New CD released with Chandos Records 27/05/16! Our new CD- Les Voyages de l’Amour- will be released this Friday! Wonderful French baroque music by Boismortier, Rebel and Corrette. More info soon..
On the 16th of September 2011 we will start our Swiss tour – please check the dates, we would love to see you in concert! 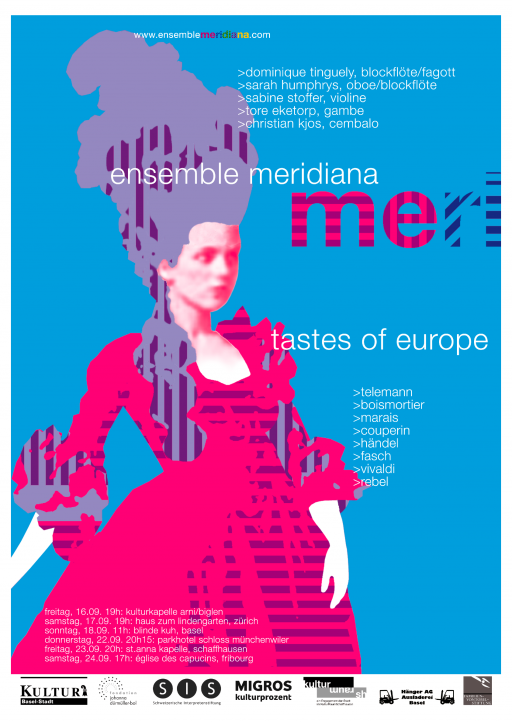 Ensemble Meridiana has been taken on by Davies Music.